Steam Whistle Brewing cans now have a feature to keep the top squeaky clean – a purity seal. 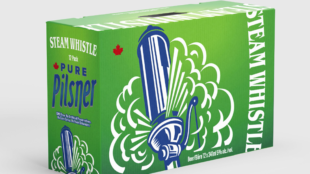 The purity seal is foil liner that covers and protects the top of Steam Whistle’s beer cans. The seal ensure that the top of the can remains free of potential contaminants it may pick up during shipping and storage before purchase. 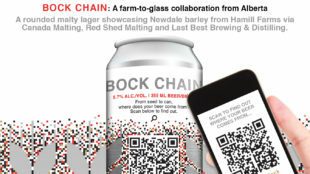 The beer itself is free of preservatives and additives and is also free of waste, with the foil top being 100 per cent recyclable. The cans with the purity seal began appearing in stores in late February, and should be in every store that sells Steam Whistle by spring.